Once described by the National Geographic Traveler as the most beautiful place on earth, the 10 mile / 16km wide Dingle Peninsula protrudes from the southwest of Ireland. Even on a dull day the Dingle Peninsula is a must see/must do. These photos were taken during a recent visit by Brook Gladstone, Co-Host and Editor of WNYC's On the Media and Author, Fred Kaplan. Brook and Fred were accompanied by local expert Isabel Bennett. Dunbeg Promontory fort, near Slea Head on the #DinglePeninsula. This site was excavated some years ago and the results indicated that it had never been occupied on a permanent basis, but rather on a couple of occasions, temporarily, in the 9th/10th centuries AD. 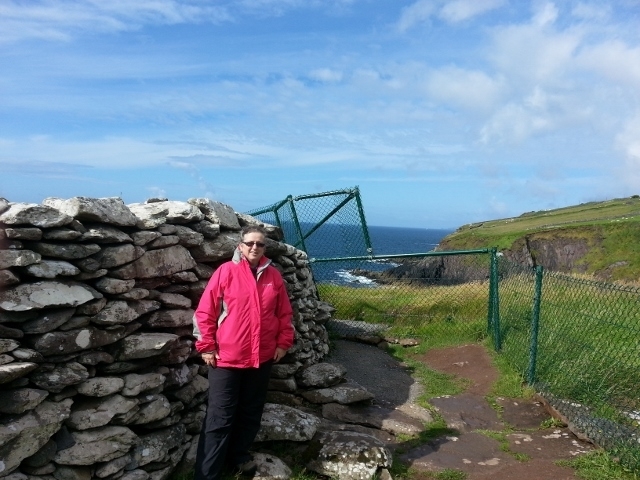 Archaeologist and guide Isabel Bennett at Dunbeg Fort near Slea Head on the Dingle Peninsula. This promontory fort suffered storm damage in the severe storms in Febuary 2014 but has been re-opened to the public with new safety measures in place. 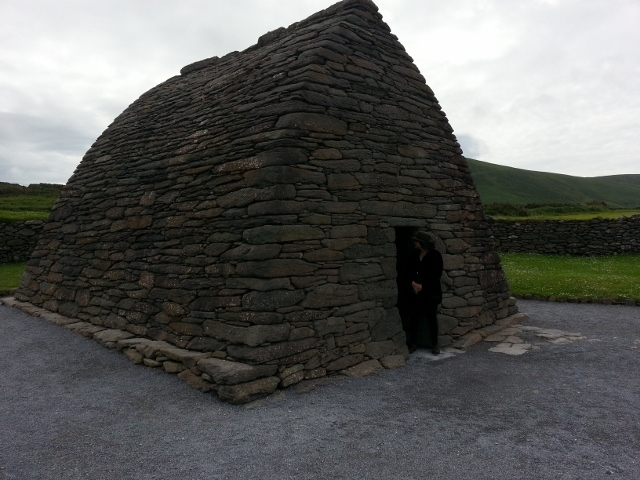 Pictured outside a ‘beehive’ hut in Glanfahan townland, near Slea Head on the Wild Atlantic Way. This structure dates from the late 19th century, but replicates what the houses of the people who lived during early medieval times in this area would have lived in. Slea Head, overlooking the Blasket Islands. From left one can see Inisvickillane, Inis na Bró, the Great Blasket and Inis Tuisceart. As well as the wonderful view, this is also an area which is very good for whale and dolphin spotting, and a wide variety of seabirds frequent the area. Riasc, Dingle Peninsula, Wild Atlantic Way. Fred and Brooke at the early medieval cross-inscribed stone within the monastic enclosure of Riasc. This site was excavated in the 1970s and gives a good impression of what a small monastery of the period (c. 6th-9th century) might have looked like. It is near the village of Ballyferriter, and some artifacts from the excavations can be seen in Músaem Chorca Dhuibhne, situated in the village. This church is situated within a monastic enclosure, and there is also a cross-inscribed stone on the site. Although there are several ruined buildings of this type, particularly in peninsular County Kerry, this is one of only 3 which survive with their roofs intact. 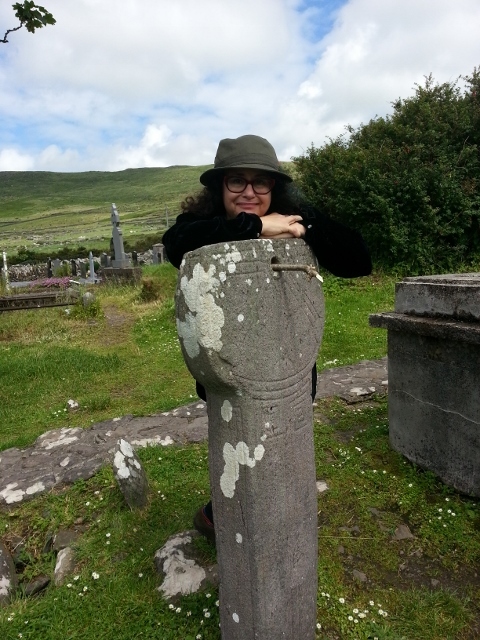 The other two are on the World Heritage monastic site of Skellig Michael. This building, which may be 10th or 11th century in date (or possibly earlier) is built using the corbelling technique, where one stone overlaps slightly on the other. It is still dry inside. Brooke at the early medieval sundial at Kilmalkedar. This is one of only 9 such sundials that we know of in Ireland, and was probably quite a luxury item in an area where the sun is not guaranteed to appear each day! It indicates that this was a prosperous monastery at this time. 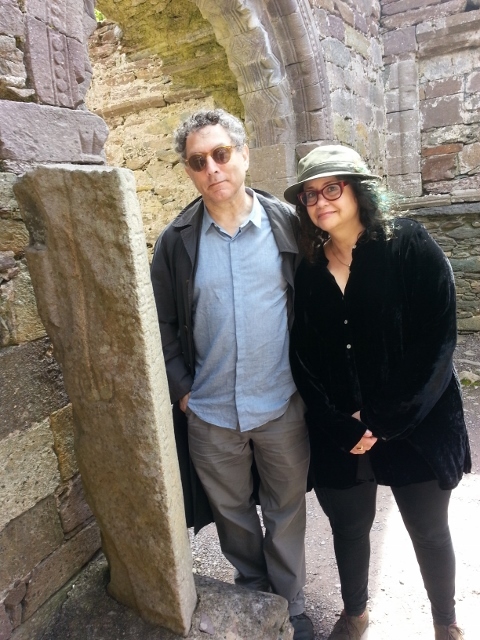 Fred and Brooke at the Alphabet Stone, which dates from the 2nd half of the 6th century AD, in Kilmalkedar church. The church itself is 12th century in date, in the Romanesque style, and the site contains many interesting features and monuments. Older PostSt Francis University Alumni Group Return to Ireland - Home of their Founding Fathers.